Here is a lesson that teaches students how to write a one paragraph summary. 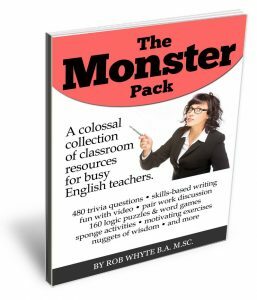 In a previous lesson (click here), I showed you how to write a summary with a template called FACT. 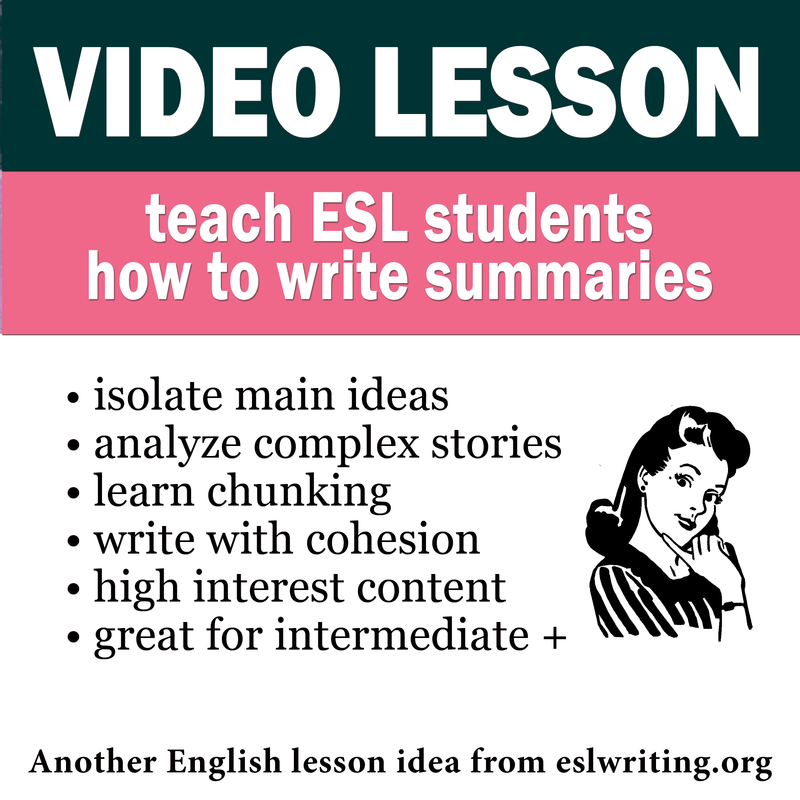 In this lesson, use the same style to write a summary about the story in another video. In this lesson, you will write a one paragraph summary with the FACT structure. Focus on the main idea. Analyze by describing the main pieces of the story. Conclude means tell us the ending. 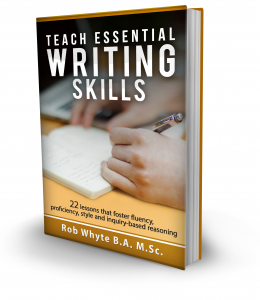 Tighten your writing by editing grammar errors, deleting extra words and creating paragraph unity. Write one sentence that describes the main idea of the story. This is the first sentence of your paragraph. Analyze the video by writing short phrases that describe the main parts of the story. This is called chunking. You will probably have a list of many chunks. Delete chucks that provide too much detail. After editing, you should have about three to six chunks. Use these words and phrases to write two to four sentences that describe the main events of the story. Discuss ideas that relate to the first sentence of the paragraph. Write a conclusion for the story. Tighten the paragraph. 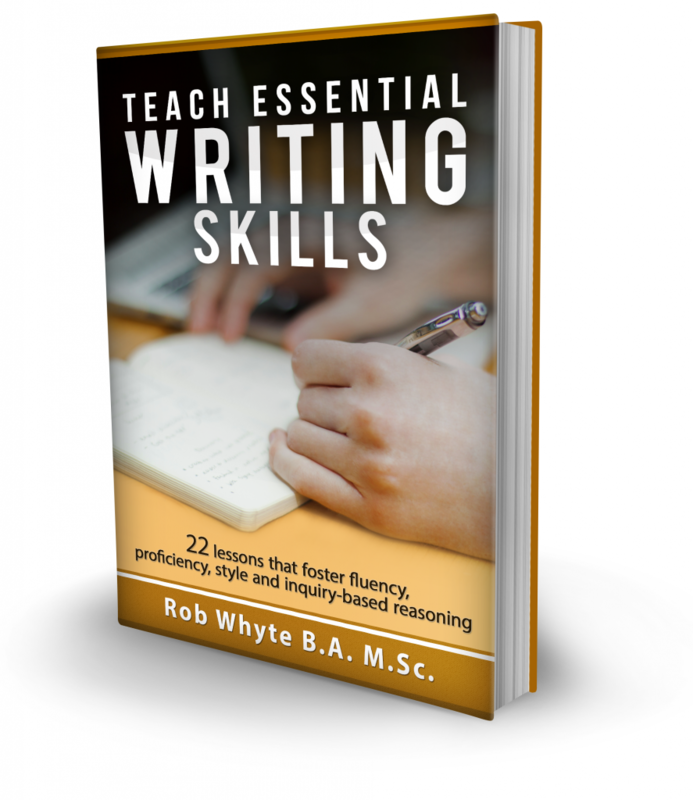 Edit your writing to remove mistakes. Be sure the body of the paragraph (i.e. the middle part) provides examples, evidence and details that explain the main idea (i.e. the first sentence of the paragraph). Here is the video. It was directed by Nuno Rocha. 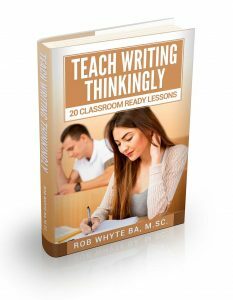 Even if you don’t do the writing lesson, I suggest you watch the video. It is beautiful. Click here and here for other great video clips.